Hey guys it's that time again! Time for our November free stuff update of all the things we scored totally FREE in the month of November! You can check out September's and October's free stuff mail calls too! Make sure to join the My Canadian Mailbox group on Facebook to see all the amazing things Canadians are getting free everyday! 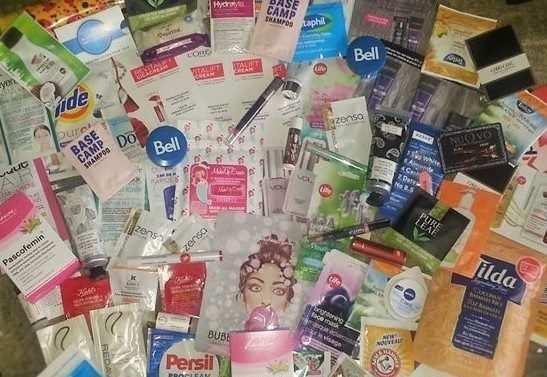 It's the hot spot of freebies, contests and giveaways open to Canadians. 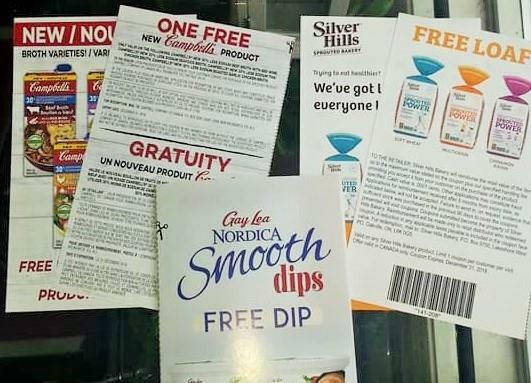 This free sample pack is one of Canada's most popular for consumers. All kinds of different products in a box for you to try and totally free! Even the shipping is free. This cycle of free sample boxes has ended but the next will come before you know it. If you aren't signed up yet, don't wait for the next round sign up now so you are ready when they are released. Sample boxes go fast and once they are gone they are gone. 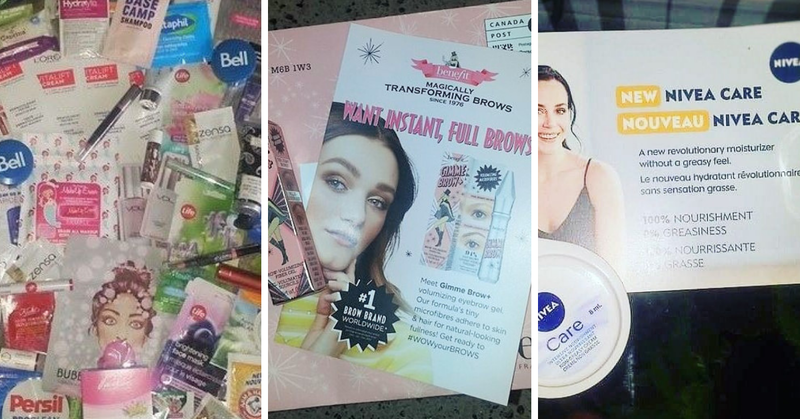 I ventured down to Toronto to check out this year's Women's show and wow the freebies I came home with were amazing ! If you can get to it next year you should really try! The show is so well done, and there are so many prizes to be won, free gifts given away and free samples and coupons at almost every vendor! This is a freebie you can order from our list of free stuff in Canada, it's #6 I believe. It does take awhile to arrive so be patient, it will show up if you order one. This is a great freebie. If you don't use them, they are still great to sign up for. You can put aside all the free products you get and make a gift basket for someone you love or donate it to a woman's shelter. Topbox regularly offers limited time and quantity free samples that are truly amazing products. 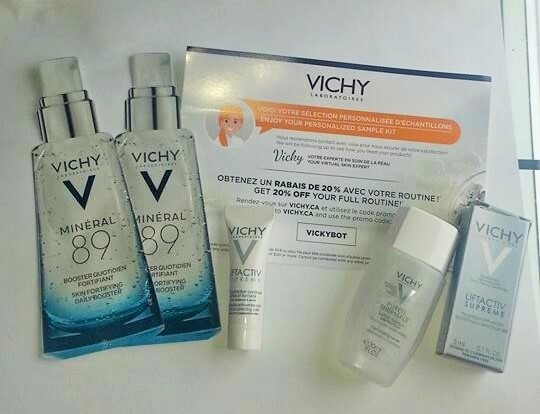 Vichy was offering a free sample pack to suit your needs if you completed their Facebook bot questionnaire. This offer still seems to be active - see if you can get a free Vichy sample pack. 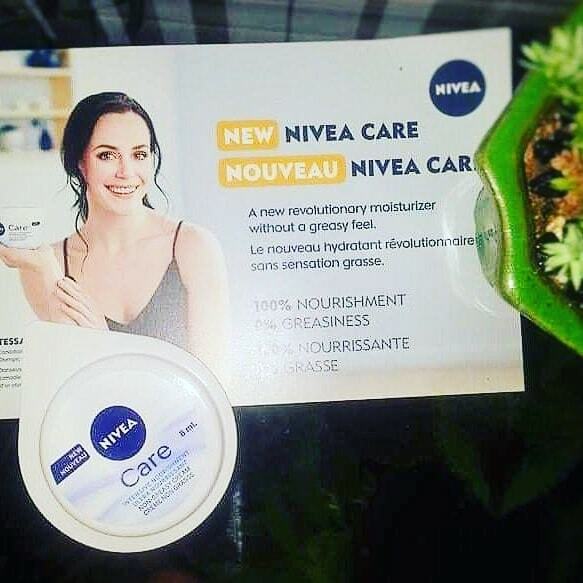 I can't even remember what offer this Nivea Sample is from, with the mail being so delayed I am forgetting where I signed up for a few things. 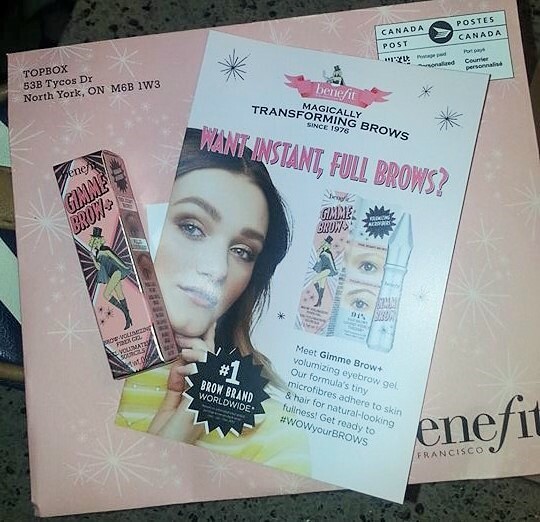 I am strongly thinking it was a Samplits offer but it very well could have been a Topbox sample as well. These small samples are great for throwing in your purse or gym bag to have on hand. 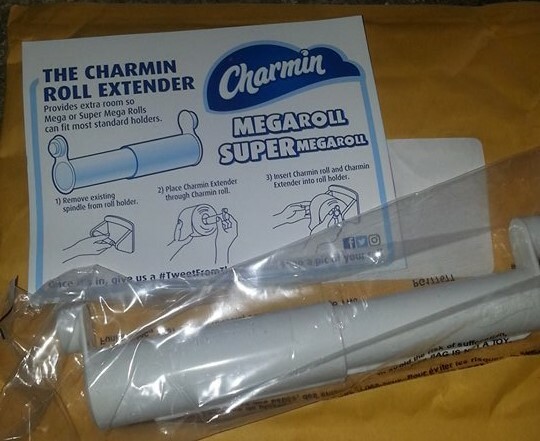 Winning prizes goes hand in hand with freebie hunting and so far this month we have won 2 prizes and this was the first! The Valvoline instant win contest is still running so you still have time to win some prizes. 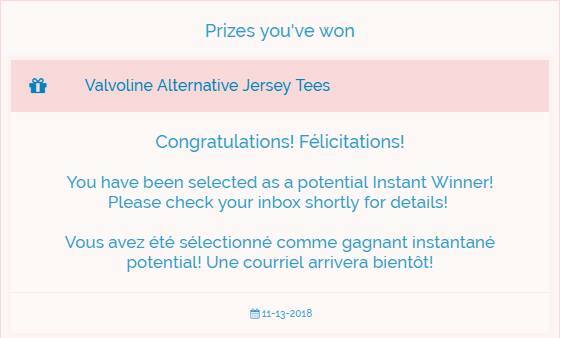 TONS of members of the My Canadian Mailbox have won instant prizes with this contest. Everything from gift cards, to tin signs, Jersey T's and more! 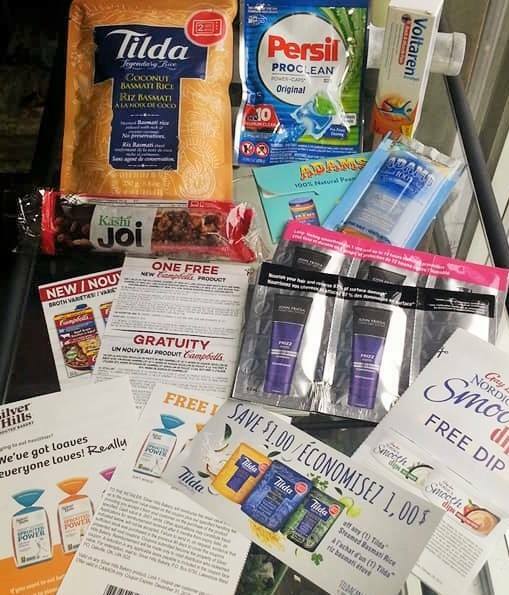 Pharmasave is always having great contests and giveaways and this weekend we got a winning email! Love getting winning emails! Great way to start any day.